I’m sorry guys I did wrack my brain for a less pretentious title - but lets be clear on something - I consider myself a beginner too. Though I literally studied hydrology (the study of water) and oceanography in college somehow the idea of water as a finite resource, like say something like petroleum, didn't completely hit home. As I studied the water cycle I was like “sure we use loads of water but then sure the cycle continuous and water as we need it is there again”. Theres a great little educational show on Netflix called Explained and yesterday evening I watched episode on the Water Crisis. It hit home. While I already try to eat less meat (understanding its impact environmentally) I now realise a huge part of this impact is the industrial use of good old H2O. One of the key things that I got from the episode, that while water wastage in the home should be minimised (adding something to reduce the flow of your tap, being more conscious of running taps/switching the shower on before you’re in it etc) this only makes up a tiny TINY percentage of the freshwater use and wastage in the world. To break it up into more manageable goals, I’ll discuss these in separate blog posts. So when I was studying for my masters the absolute doom and gloom of how humanity was fecking up the world and the degree to which I didn't feel we were being offered (or encouraged to find) any great solutions often felt me pretty glum. But I don't want to do that to you dear reader! Water usage in the home is still so important though - the extremely resilient people of Cape Town SA has showed this by pushing back their “Day Zero” - the day where the city would run out of water indefinitely by cutting the city’s water usage IN HALF in just a few short months. 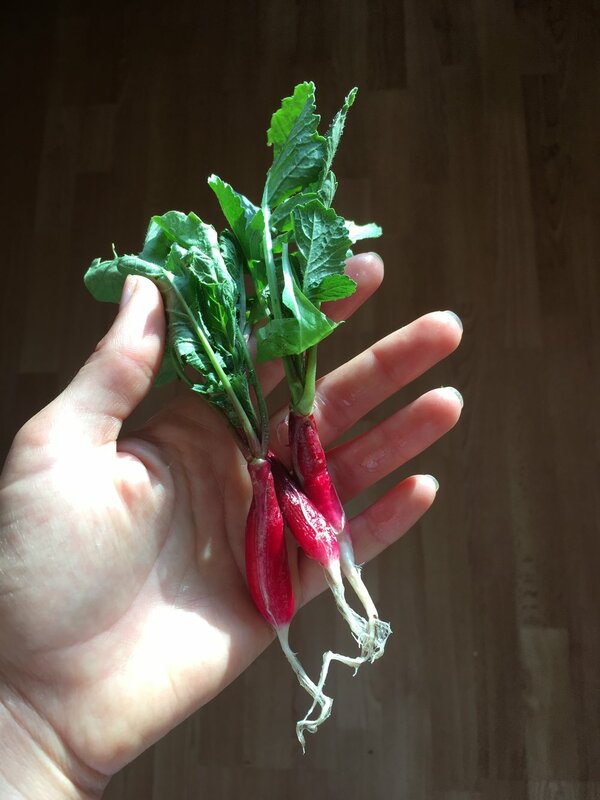 Foods that use less water to grow or are grown in places that have the water to support their growth - I will hands down say this one is the newest concept to me, so please bare with me. So the thought I had on this was to look at Ireland, see what do we grow here that suits our climate and purchase more of that in season or even grow your own! Mushrooms, cabbages, potatoes, beetroot, rainbow chard and herbs like parsley, chives, rosemary and thyme - I’m currently growing kale, chard, chives, mint, parsley and rosemary at home and there was potatoes (3 varieties), all the berries bellow as well as apples at my dads place. Things that can be easily grown in Ireland - or even in your garden if youre keen - rhubarb, apples, strawberries, blueberries, red currants, blackcurrants, raspberries and from the hedgerows - blackberries, wild raspberries, rosehips and sloes (the last two I boil and add sugar to make syrups). 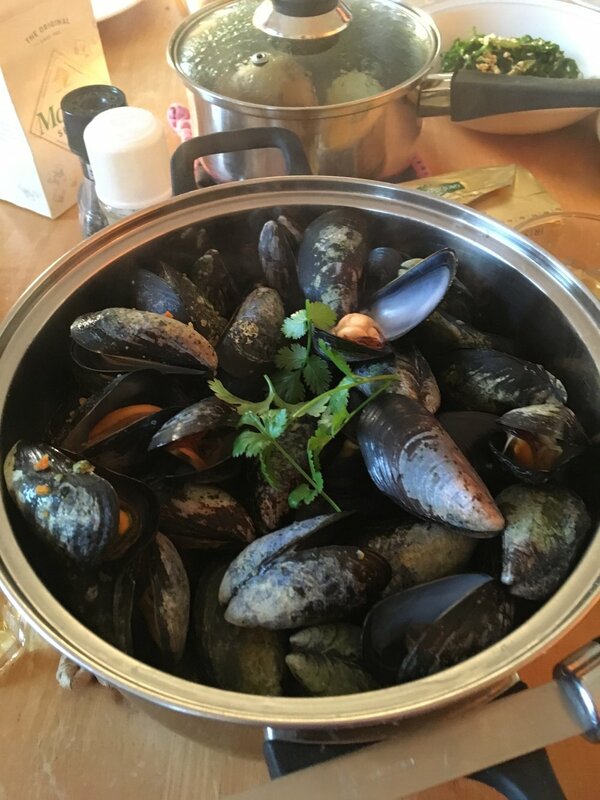 Mussels - an amazing source of low fat protein, mussels are easily cultivated on ropes & trestles and require very little freshwater mostly if you give them a quick scrub at home. As they grow fast and reproduce on a big scale they’re also one of the most sustainable seafood you can eat. Couple that with the fact that they grow easily in Ireland means much less distance to travel to your plate. Eggs - while it can be hard to find good quality free range eggs that are really free (dont be fooled by misleading phrases like “farm fresh”) & I’m personally not 100% on how much water usage goes into poultry keeping. HOWEVER my dad having kept hens, ducks and geese when I was younger I saw first hand how little went into keeping them on a small scale, they eat some feed, plus scraps, plus bits they foraged for themselves. With that in mind anytime I see an honesty box outside someones house selling duck or hen eggs I loved to pick up some of these. Hands down they have always been the tastiest! 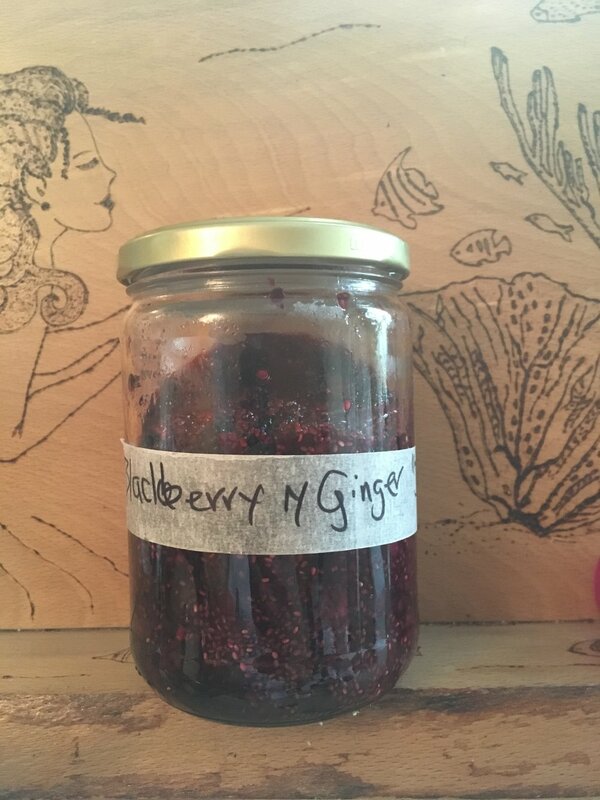 I could do articles and articles about this alone there are sooo many amazing and delicious varieties all around the cost check out Sally McKenna’s fab cookbook for guides to foraging, recipes and even skincare uses. You can learn to forage for it yourself or support one of the myriad irish companies harvesting and drying seaweed. Its amazing for things like miso soup and sushi but also for adding to stock, bread baking or even using things like carrageen to replace gelatine in desserts. Damn. This was the one that really stumped me. Rice, corn, wheat. Aren't they all grown in far flung places? For this the only answer I have at the moment is potatoes (yaaay I love any reason to eat them) and oats - oats are grown easily on our fair green isle and also, if you’re able to have grains containing gluten, so it barley (I guess thats whiskey and vodka back on the menu so). If you have any other locally grown/doesn’t use a lot of water crops to add to this list please do in the comments below. I was really really stumped when it came to the fats. Olive oil comes from far off arid places, butter comes from the dairy industry. We’ve likely all seen the bad press that soyabean and palm oil get in the press due to their role in deforestation. The only example I can think of at the moment is rapeseed oil. I’ve only started cooking with this recently. Its grown locally here in Donegal, a climate not bereft of water and after a little research I’ve seen some farmers are also incorporating bee keeping into their commercial model utilising the flowers for honey, the seeds for oil and the leftover husks for natural cattle fodder. Not bad, not bad at all!